Pretty sure this lens can handle the trend in the bike biz towards bigger, wider tires and more suspension. It’ll capture a 27.5+ bike in full frame for sure, check Sigma’s edit from the launch, starting at 2:49. The lens is new from Sigma, the 50 T1.5 aka the Super Normal, and launched with their new cine lens line announced last fall. It’s attached to a Sony camera now and I’ll also shoot it with the Canon 5D Mark IV as well. The 50 prime price is $3,499.00 and shipping this month with the rest of highly-anticipated lenses from Sigma including zooms. 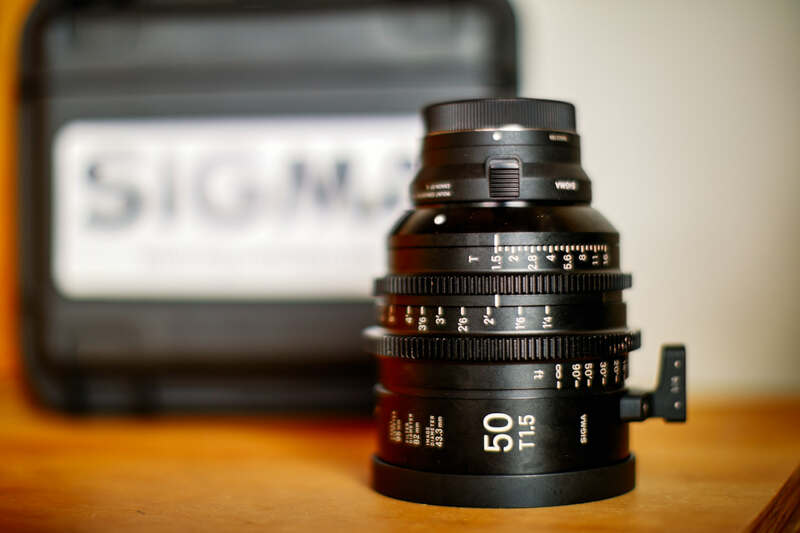 If you’ve never heard of a cine lens, that’s shorthand for cinema, and what’s happening is as ever more capable DSLRS and mirrorless cameras hit the market, lens makers like Sigma are converting their high end still images lenses into cine lenses. And, digital filmmakers are benefiting from the superior optics, and more compact sizes to take on location. You can geek out on the differences between a cine and regular lens, here, but it’s mostly the construction, usage, and optical capabilities. Also, adhering to standards, imposed by filmmakers. If you’ve watched a recent epic edit in the loam, it’s been shot with a cine lens. We’re gonna make our own very soon with a follow-on story for Digital Photo Pro, and shared here.